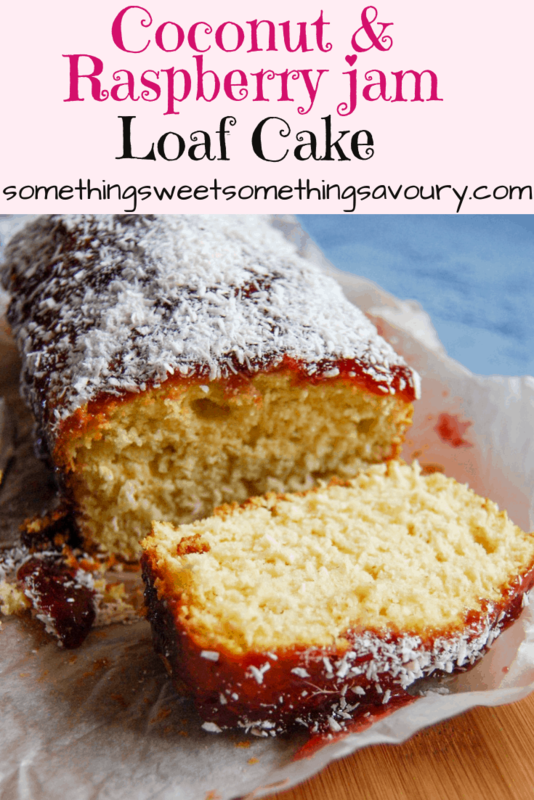 This simple coconut and raspberry jam loaf cake is an old fashioned recipe that is so easy to make yet so lovely. This particular recipe is actually the very first cake I ever made. Yep, the very first! It came from the Hamlyn book of cakes and baking, an extensive baking book that had a picture alongside every recipe. It’s a very easy cake to make – it uses the all in one method which simply requires you to place all the ingredients in the bowl and beat them together for a couple of minutes – very low maintenance! The raspberry jam topping is my nod to the retro school dinner pudding that was a favourite of many, the square slab of sponge covered with jam, coconut and served with lashings of custard. 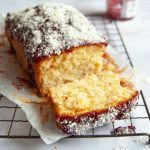 This old fashioned coconut and raspberry jam loaf cake couldn't be easier to make - it makes a perfect afternoon treat! Butter and line a 2lb loaf tin with baking parchment. Place all the ingredients apart from the raspberry jam in a large mixing bowl and mix well for 2 minutes until you have a smooth, even batter. Pour the batter into the lined tin and level the surface. Bake for 45-50 minutes or until a skewer inserted into the middle of the cake comes out clean. Remove from the oven and leave to cool in the tin for 10 minutes before turning out and leaving to cool completely. 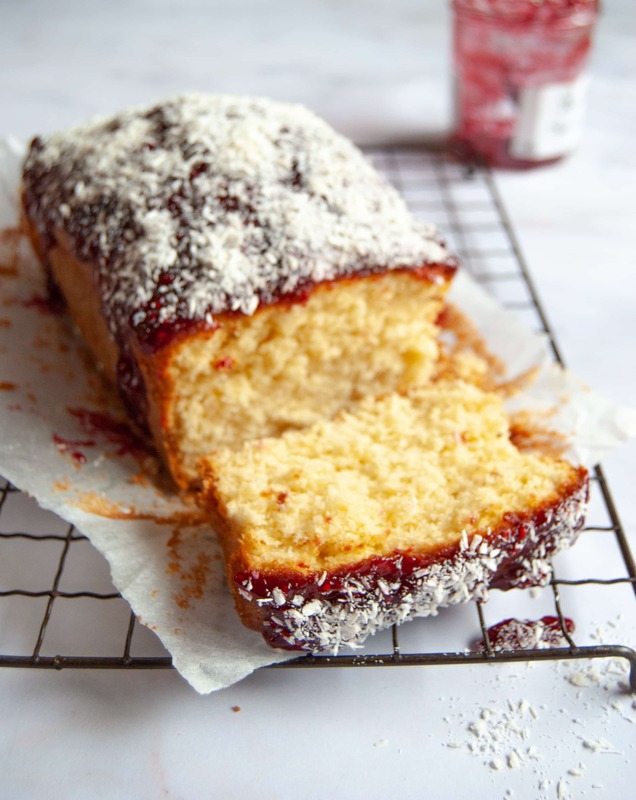 When the cake is cold, spread with the raspberry jam and sprinkle with dessicated coconut.